Description: Ingles Markets Inc is a business categorized under grocers-retail, which is part of the larger category grocery stores. 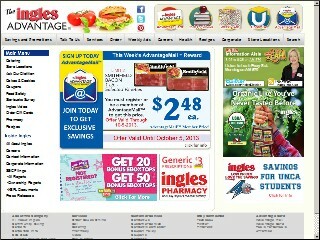 Ingles Markets Inc is located at the address 2913 Us Highway 70 W in Black Mountain, North Carolina 28711-9103. The CEO is Robert P Ingle who can be contacted at (828)669-2941. Location & access map for "Ingles Markets Inc"